What do you do when you buy limes in bulk, and have a bunch leftover to use up? 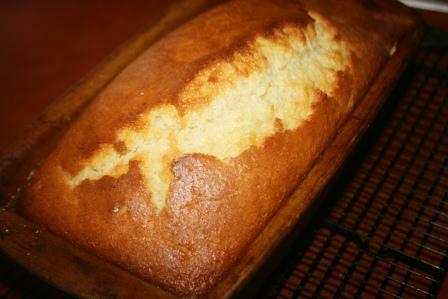 Well, you make my aunt Carolyn's wonderful lime bread recipe! It's delicious! Combine ingredients. Stir until moistened. Bake in greased loaf pan at 350* for 1 hour 10 minutes or until done. Cool. Prepare glaze and drizzle over top. Hope you enjoy this as much as we do! Do you have any recipes passed down from family that you love? I've never tasted lime bread but it looks/sounds delicious! Oh this is brilliant; we love limes here! Hmmm, passed down recipes...my Dad's beef and noodles, it was his favourite and it's always a hit. I bet this is delicious! We so need to live closer so I can do taste tests of your amazing baked goods. I have never heard of lime bread, but it sounds really good. And passed down recipes...I have quite a few, especially this time of year! But one of my favorites is kugel, which is a sweet noodle/cheese dish, and we have it every year on Christmas Eve. Yum! Oh My .... this looks so yummy!! My hubby is in the process of re-creating a recipe that his mother made - beef barley soup. Once he gets it perfected we'll send his siblings the recipe and maybe we'll keep the tradition going. I will eat lime anything. This sounds interesting. A shot of tequila on the side maybe? Never heard of lime bread but it sounds wonderful. I bet it smelled great baking. Wow! Not only does this sound good, it looks delish!! That sounds so good. I would have to substitute the sugar and use different flour... I bet it tastes great. I'm sure I would like it since I love citrus flavors! Oh my gosh, I have never heard of lime bread! And easy! Now I am going to buy some limes and make it! One thing, I do not have a loaf pan! And don't want to buy one just for this. What do you think about a 9X9 or something? Of course then it would look more like cornbread, but as long as it tastes just as good...! I've never heard of lime bread before, but it sounds delicious! I am so intrigued! Next time I have extra limes on hand I'm trying this out. That bread sounds good. My favorite is a sugar cookie recipe that you do not roll out..just drop style and frost after. That sounds interesting, I would have never thought of using them in something like that but it should work! Can't say that I have any passed down recipes, but the lime bread does sound interesting. This sounds good. I've never heard of lime bread, but I bet it's got an interesting flavor. That looks so fresh and delicious! Thanks for sharing. I think I might try it! How unique. It sounds so good, and looks pretty. We think we can smell it cooking. This bread sounds lovely but we never get limes offered in bulk buys here sadly. I've never heard of Lime Bread. I will have to try this one. Thank you for the recipe. Lime bread, now that's a new one for me! I must admit it does sound yummy! Oh, man! This sounds amazingly delicious!! Not sure about lime bread, but it might be worth a try. I love limes.